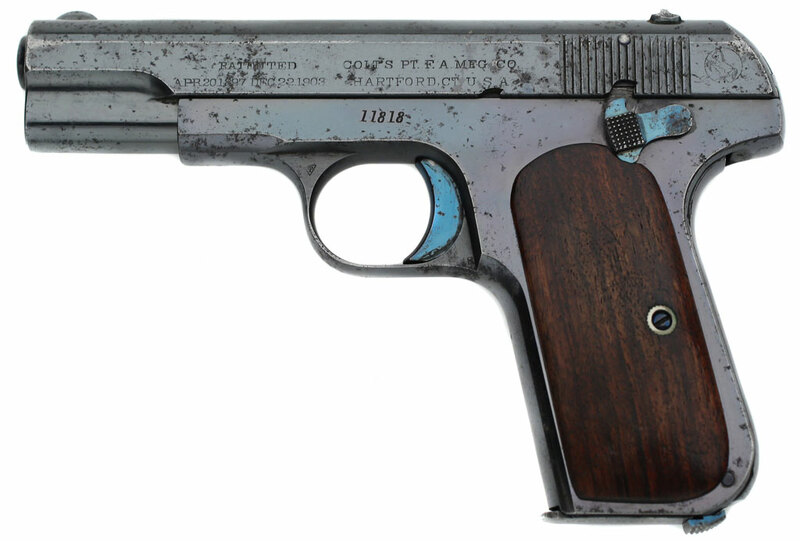 Colt Model 1908 Pocket Hammerless .380 ACP serial number 11818 - blue finish with factory "plain wood stocks". Pistol was one of two .380s shipped to J.B. Crook Co., New York on September 18, 1912 with smooth walnut stocks accompanying three 1903 .32 and three 1908 Vest Pocket .25 pistols all of which had these same stocks. 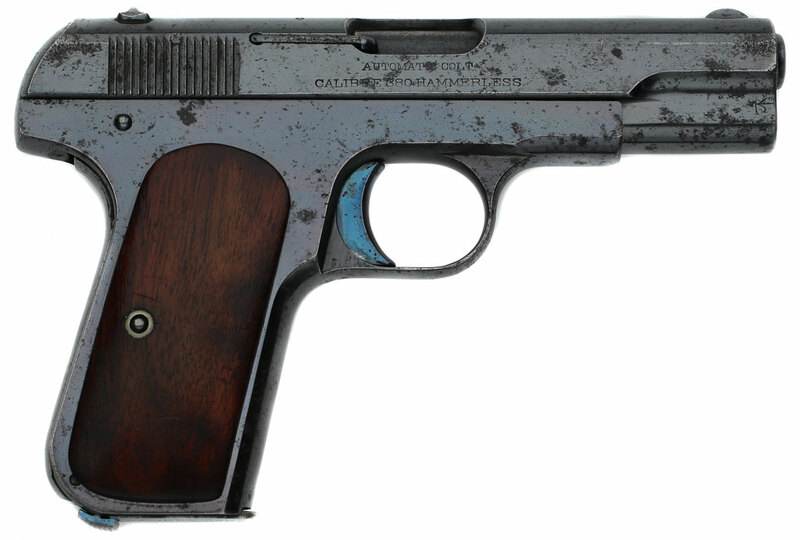 Colt Model 1908 Pocket Hammerless .380 ACP serial number 11818 -shipped from the factory with "plain wood stocks" right side view.